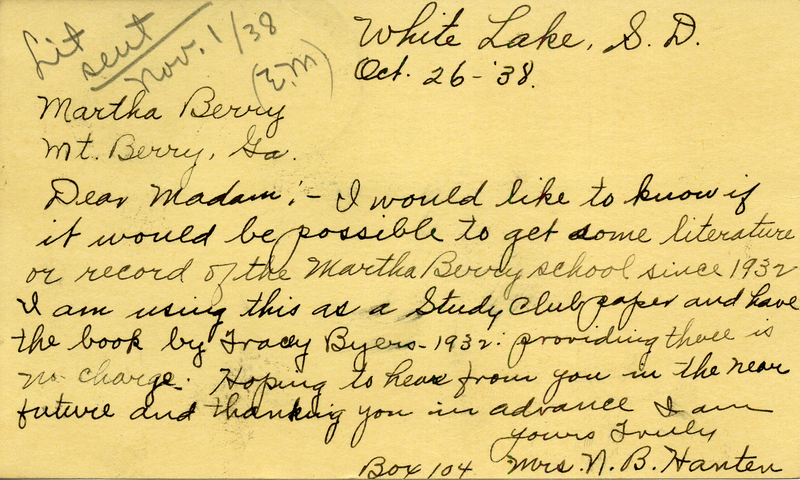 Mrs. N. B. Hanter requesting books or records of the Martha Berry Schools since 1932. 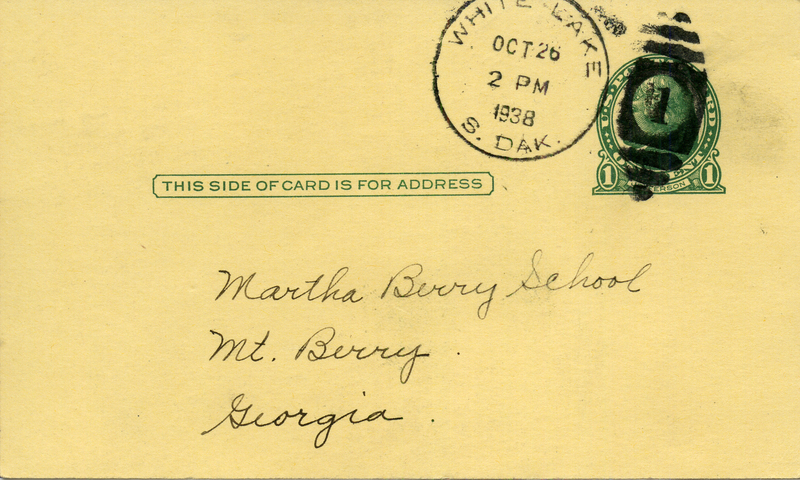 Mrs. N. B. Hanter, “Letter to Martha Berry, from Mrs. N. B. Hanter.” Martha Berry Digital Archive. Eds. Schlitz, Stephanie A., Christy Snider, Jessica Hornbuckle, et al. Mount Berry: Berry College, 2016. accessed April 25, 2019, https://mbda.berry.edu/items/show/14380.